Consumer spending comprises 70% of US GDP. And with all the esoterica and tea-leaf reading that goes on in economic theory, this data input is pretty basic. Fewer consumers (not to mention fewer productive workers) is a fundamental future problem for national economic growth. 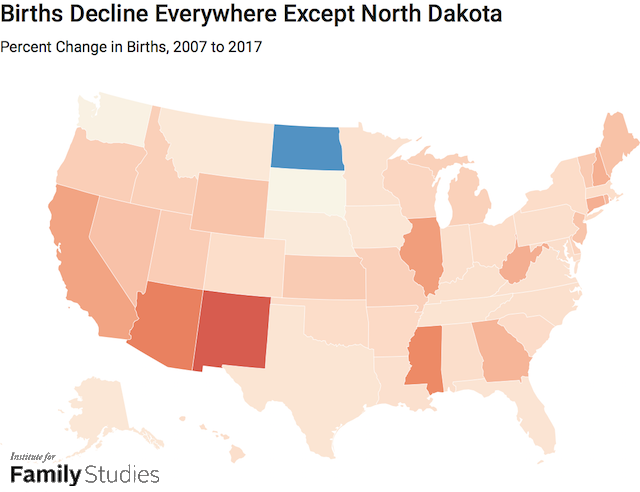 What's more, there were about 60 births per 1,000 women ages 15 to 44, which is 3 percent lower than the rate in 2016, and the lowest recorded rate since the government started tracking birth rates in 1909.